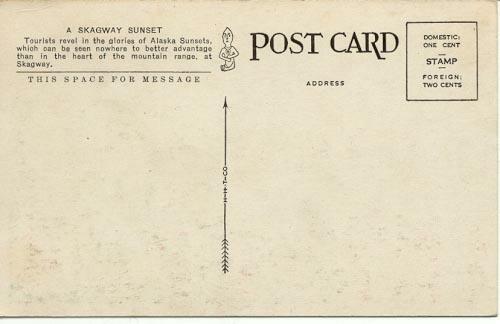 This postcard published by HHT dates to about 1905. 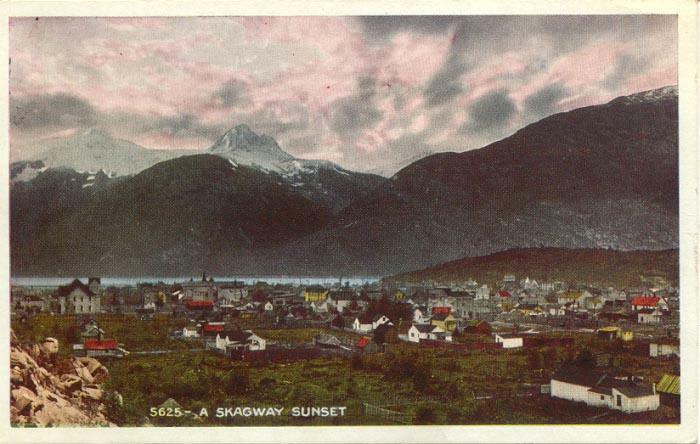 "A Skagway Sunset. Tourists revel in the glories of Alaska Sunsets, which can be seen nowhere to better advantage than in the heart of the mountain range, at Skagway."